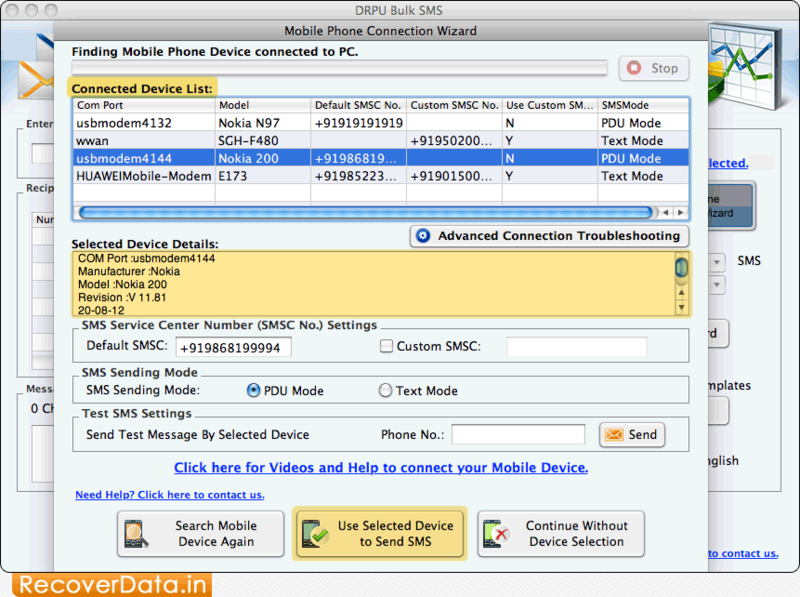 Mac Bulk SMS software for GSM phones sends group text messages to any national or international mobile phones from your system without internet gateway. Mobile Messaging program delivers product price alerts in different languages from Mac OS X installed PC to any mobile phone. Bulk SMS program maintain the list of contact numbers and facilitates to enter recipient number or import mobile phone contact details for sending instant messages. Group SMS software helps business organization to communicate with customers and delivers information of company news, price alerts, product launch updates to any mobile phone without any internet connectivity. 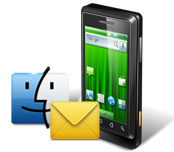 No hidden charges to send SMS from Pc to any mobile phone without internet gateway. Send Unicode text messages from Mac computer via connecting gsm mobile phone. Save your sent text message detail as templates for future reference.